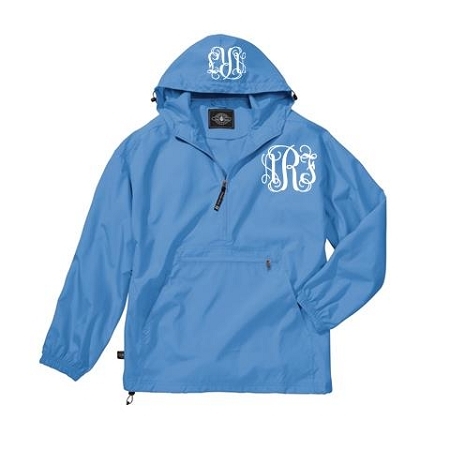 Get set for wet weather with a monogrammed rain jacket and a pair of embroidered rain boots. 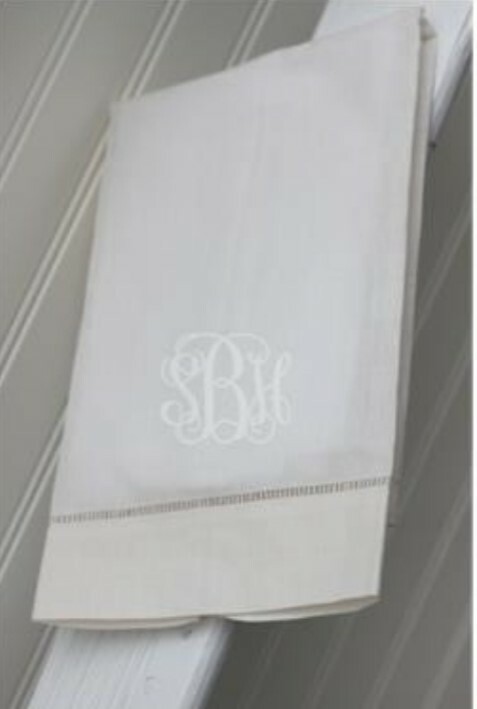 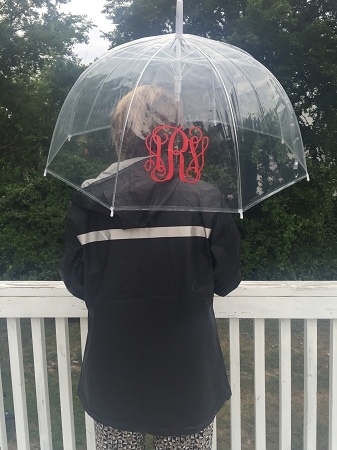 Perfect for keeping dry in a downpour are these personalized umbrellas and windbreakers that come with initials stitched onto the chest. 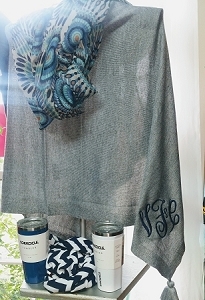 Choose your favorite color scheme to match any favorite outfit. 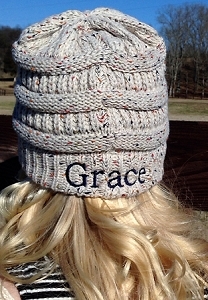 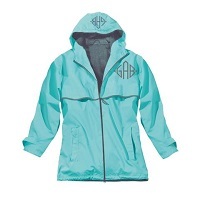 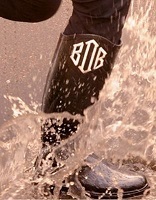 Any lucky lady will be thrilled to received monogrammed rain gear this holiday season.